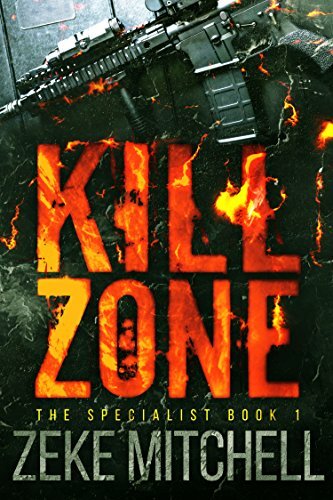 Matt Thorn is the Specialist: a legend in the black-ops realm, destroying targets with surgical precision, attacking with lethal determination – accomplishing the impossible. Now, Thorn’s mission is to liquidate a Mafia druglord and destroy the Godfather’s deadly heroin pipeline. But no plan survives contact with the enemy. Stalked by an army of hitmen, betrayed by a traitor in his own ranks, Thorn will need more than skill and firepower to survive – he’ll need to unleash hell on earth. Kill Zone is a savage action thriller – the mythic story of a lone gunfighter battling impossible odds. Book 1 in a new action and adventure series.